Travel the world like never before in this brilliant book of mazes brought to you by Lonely Planet Kids, an imprint of Lonely Planet, the world's leading travel guide publisher. In Lonely Planet Kids Marco's Maze Mission, you'll tackle challenging mazes and discover incredible facts on every page as you explore Norway's fjords, the USA's Grand Canyon, New Zealand, Belize and beyond. 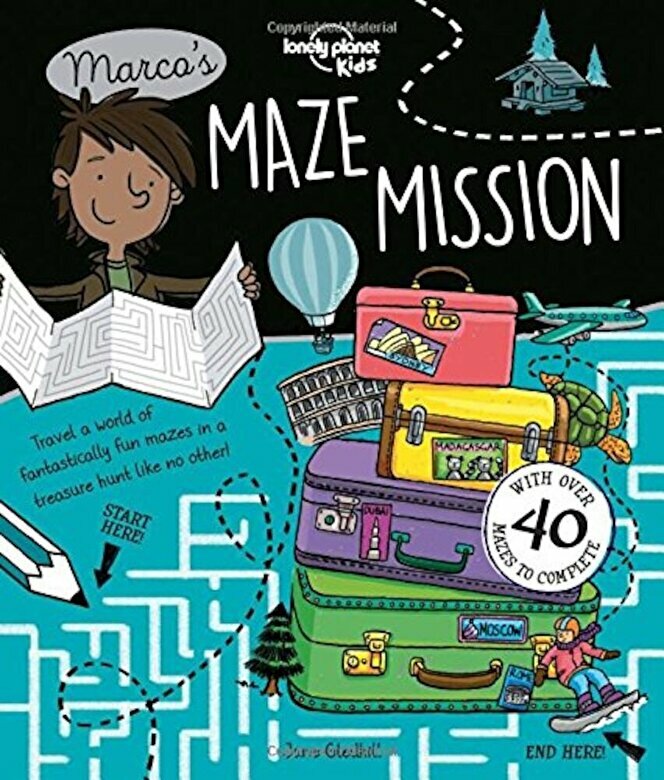 Packed with fun illustrations and a gorgeous two-colour palette, Marco's Maze Mission provides hours of brain-boggling fun for children aged 7+.